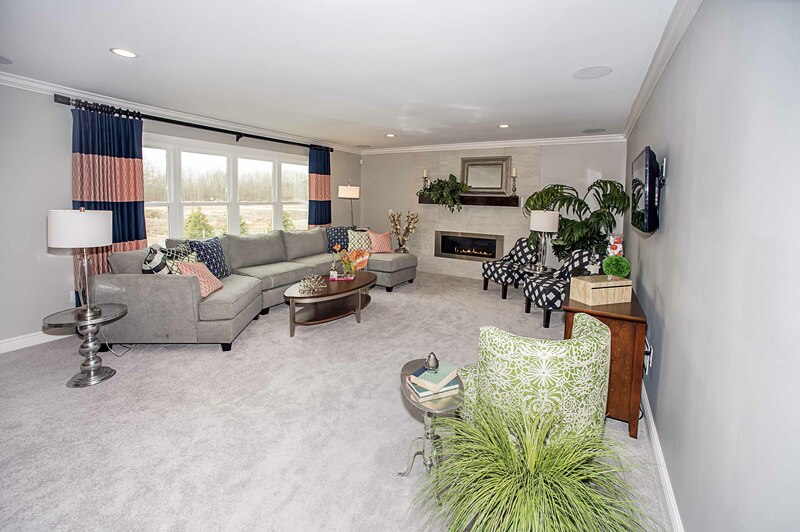 The new model at 108 Waterway Lane by Marrano is in Evergreen Landing, located in Amherst. 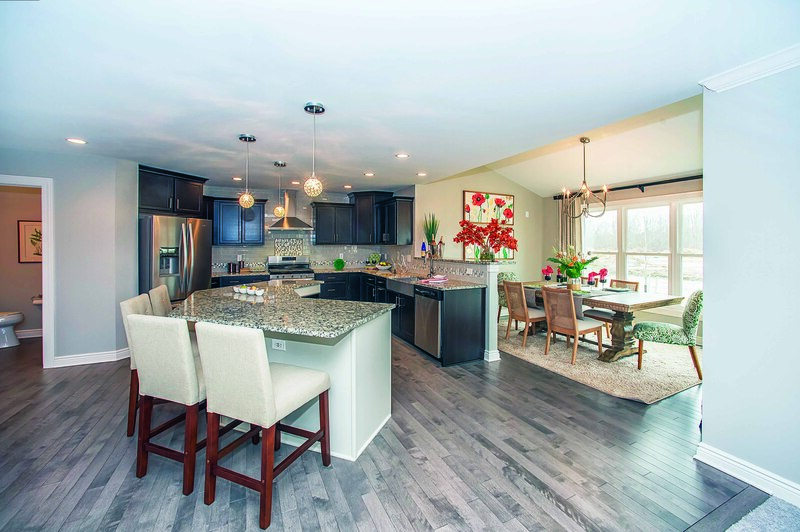 Marrano’s top-selling Amherst community, just got more popular as Western New York’s leading new home builder announced the grand opening of a spectacular new model home this weekend. The opening is part of Evergreen Landing’s new phase of development, which features 38 home sites with attractive deep lots. Built on a stunning backdrop of winding roads and natural trees, it’s no secret why this community is in such high demand. Situated off Tonawanda Creek Rd., near Niagara Falls Blvd., Evergreen Landing is conveniently positioned halfway between the city of Buffalo and Niagara Falls, and around popular shopping, dining and entertainment. Evergreen Landing is also located within the highly-rated Sweet Home School District and offers some of the lowest school taxes in the area. The new, fully-decorated model home at 108 Waterway Lane is 2,481 square-feet of beautiful, trendy living space done in a traditional design with contemporary flair. At four bedrooms and two-and-a-half baths, it’s the perfect size for a growing family. A brand-new front façade is highlighted by professional landscaping and a full front porch with brick accents, board and batten siding, decorative wide trim and headers. Double sidelites with privacy rain glass flank the front entry, while a dormer over the garage adds to the design craftsmanship. Visitors are greeted by a grand, two-story foyer that leaves a lasting imprint thanks to an exquisite cascading crystal chandelier which adds a hint of sparkle as the natural light bounces off the ceiling. An additional room to the left of the foyer can be customized into a den, office or reading nook. Yellow birch hardwood is used throughout and leads into the spacious, modern great room and a large contemporary kitchen with an adjacent sunroom. Large windows allow tons of natural light to flood the downstairs, brightening the home’s exceptional features. A unique linear fireplace stands out along the back wall of the great room, topped by a sleek, rustic beam mantle surrounded by hand-crafted tile work. In the kitchen, a huge island serves as a focal point, while offering many desirable features, including a wine fridge and modern microwave drawer. Pendant lights, exotic granite countertops and natural hardwood floors enhance the kitchen’s look. Added conveniences include a large pantry and a double sink. A custom ceramic tile backsplash creates a chic kitchen that’s nothing short of magazine quality. The first floor features a nice-sized half bath, as well as a drop-zone mudroom off the garage. Whether it’s winter boots, jackets or sports equipment, there’s plenty of storage space for any family’s needs. Upstairs, a stunning master suite compliments three additional bedrooms, a full-bathroom and a convenient second-floor laundry with built-in cabinetry. 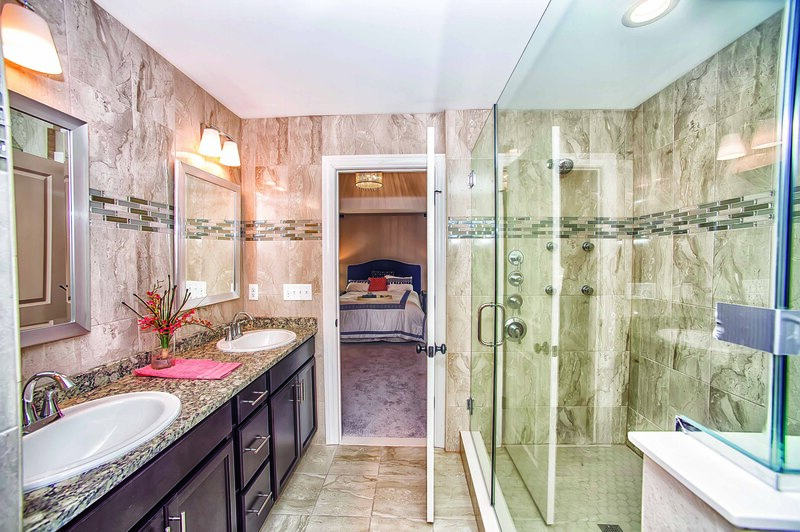 The master bedroom features a grand tray ceiling and a luxurious ceramic spa bath with dual sinks and a massive walk-in shower. The fashionista in the family might argue that the closet is the room’s best asset, with the feel of fifth bedroom due to its large size. 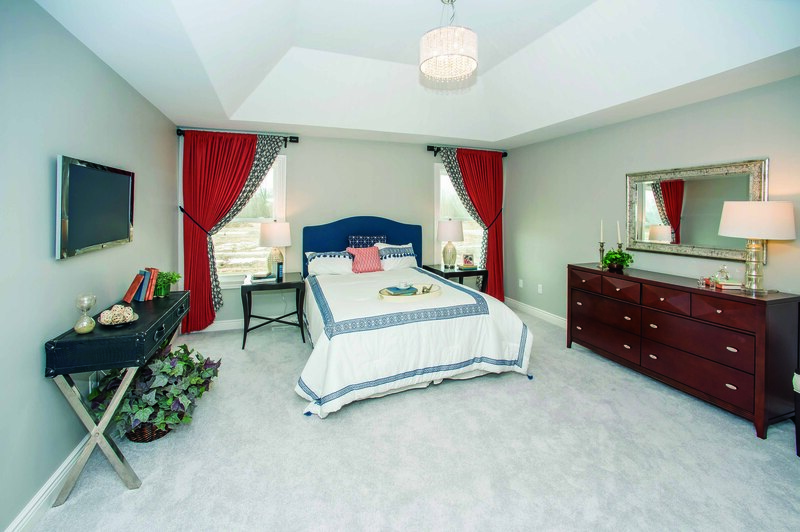 Evergreen Landing features a blend of two-story layouts, ranches, patio homes and first-floor master bedroom designs. 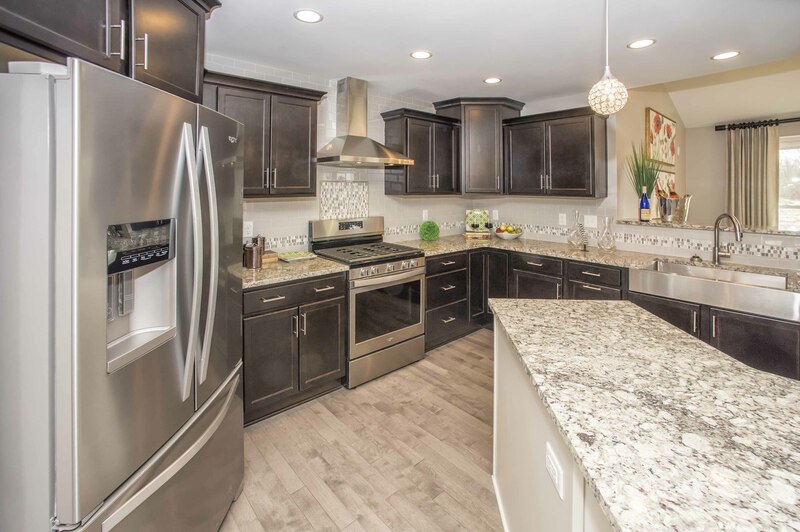 Exclusive Marrano homes in Evergreen Landing range from $319,900 to $500,000 plus. To sweeten the deal, Marrano is offering popular added features at no cost for a limited time, saving homebuyers thousands of dollars. In addition, Marrano is opening its doors to four other completed homes as part of the Evergreen Landing grand opening. All are immediately available. Marrano’s Evergreen Landing grand opening will take place today through Wednesday from 1 to 5 p.m. To visit the community, take Niagara Falls Boulevard to Tonawanda Creek. From there, go east to Waterway Lane. For more information or to schedule a private tour, call Dana Caito at (716) 809-8681 or visit marrano.com. 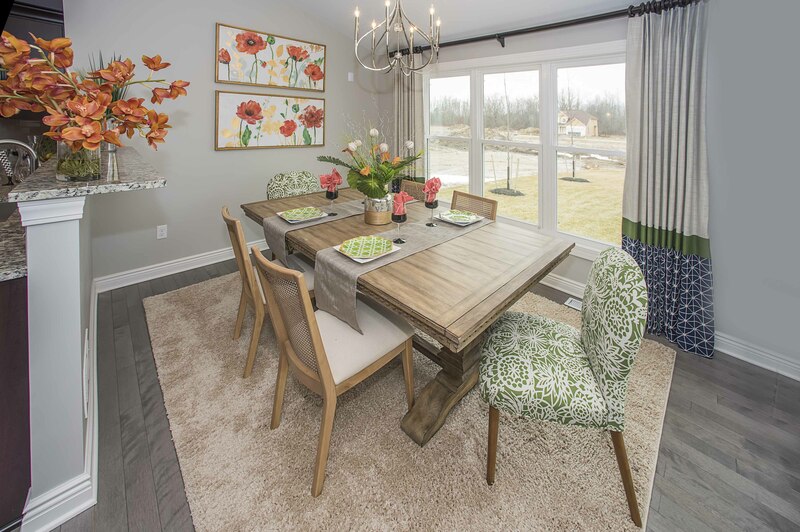 In addition to Evergreen Landing, another new Marrano community — Heather Woods, located in Lockport — is attracting homebuyers. The established neighborhood features an exceptional array of single-family home sites that are 85 feet wide. Homebuyers can choose from a variety of Marrano designs in Heather Woods, including two-story plans, ranch options and first-floor master bedroom layouts. 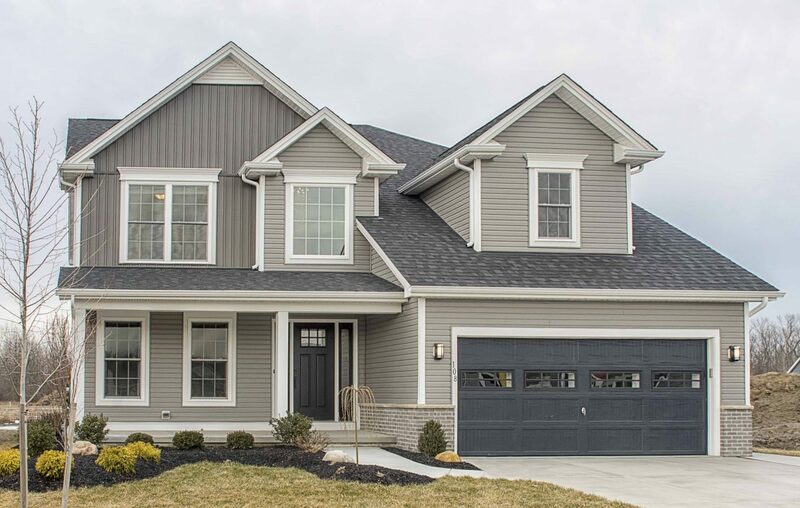 Homes in Heather Woods begin in the low-$300,000s.